The holidays bring many traditions—tree trimming, candle lighting, present wrapping, and spiritual examination. It’s also a time of year when many of us think about the classic movies and TV shows that remind us of holidays past—A Charlie Brown Christmas, How the Grinch Stole Christmas, and Mr. Magoo’s Christmas Carol (many of us, however, are still hoping to wipe The Star Wars Holiday Special from our minds). Thankfully, we can do more than simply reminisce about these videos. Many and more of them are available online. Here are a few sources for these holiday treasures. 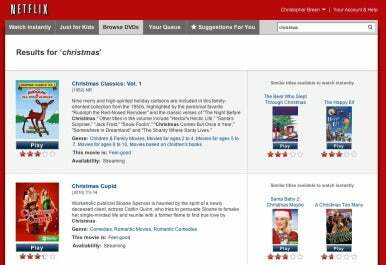 Netflix can stream the holidays to subscribers. Hulu, the streaming TV service, has a section for holiday-themed TV episodes as well. If you’re an Amazon Prime member ($79 a year) and have a device that can play these videos (some Blu-ray players, a Kindle Fire, or a Roku box, for example) a search for Christmas within the Amazon Instant Video area will turn up some “free” holiday treats. A search for Hanukkah produces very little unless you’re interested in The Hebrew Hammer. If you have a Roku box you don’t have the luxury of searching Amazon by the Holiday genre. However, if you look in the Kids & Family section you’ll see a few holiday videos highlighted. As users of Apple products, we’re all aware of the iTunes Store. Apparently, it’s just as aware of your desire for holiday videos. 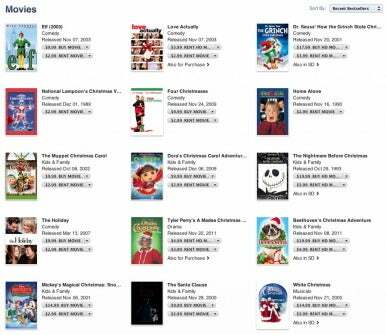 You can find holiday movies for sale and rent, as well as holiday TV specials, collections, and episodes. The iTunes Store is another good place to look. Finally, there’s nothing like roasting chestnuts over an open fire. The thing is, however, much of the world doesn’t have a ready supply of chestnuts, and open fires aren't always so safe. While we can do very little about the first issue, we can help with the second. Take a gander at Fireplace Downloads. Here you’ll find nine 30-minute 1080p HD virtual fireplace movies, ready to be looped in your favorite video application. At $5 a pop, these things could be considered stocking stuffers, but if your budget’s tight, travel to YouTube where you can find a large collection of faux fireplaces to help keep your Mac warm for free.